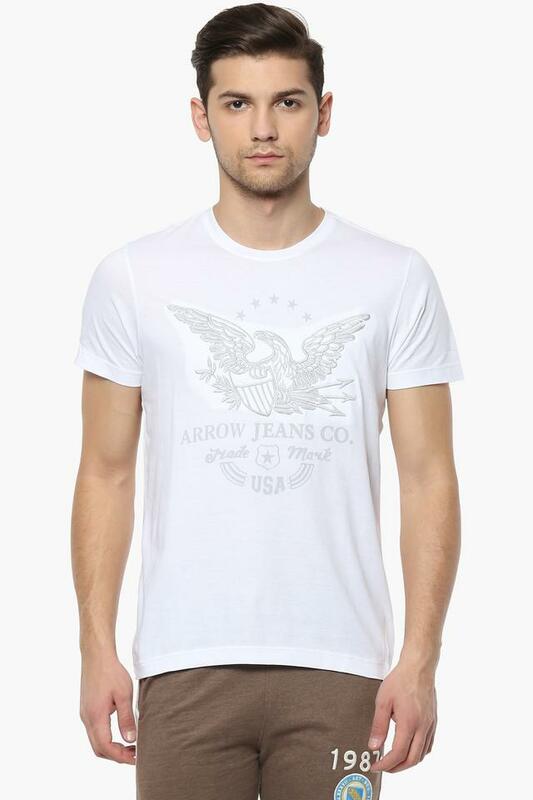 Give yourself an ultra-modern casual look with this t-shirt from Arrow. 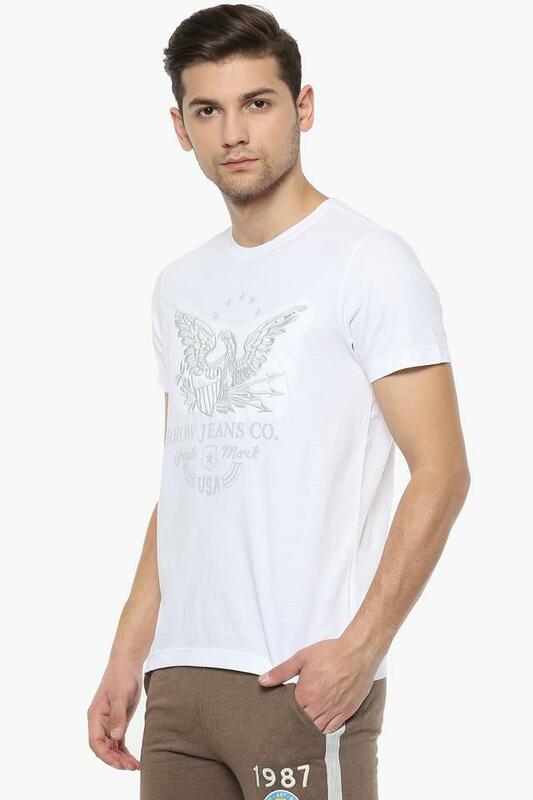 Made of good quality fabric, this printed t-shirt is quite comfortable to wear all day long. 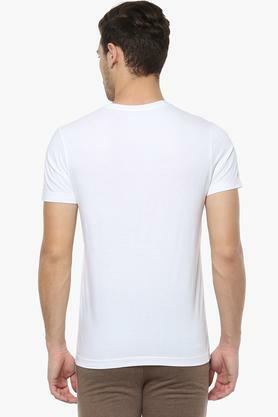 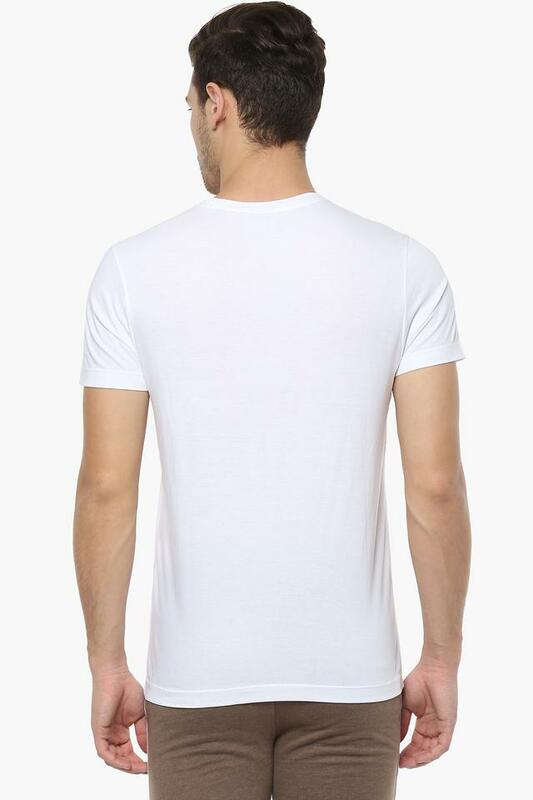 This short sleeves t-shirt with regular fit will keep your attire a structured design. Introduce style to your everyday staples with this t-shirt. 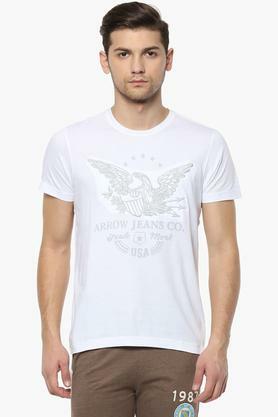 Team this t-shirt with a distressed jeans or trousers for a relaxed look.